It's been a hectic few weeks, but I managed to snap some outfit photos so I can show you what I've been putting on ma bodaaayyy. So, yeah, like... enjoy! 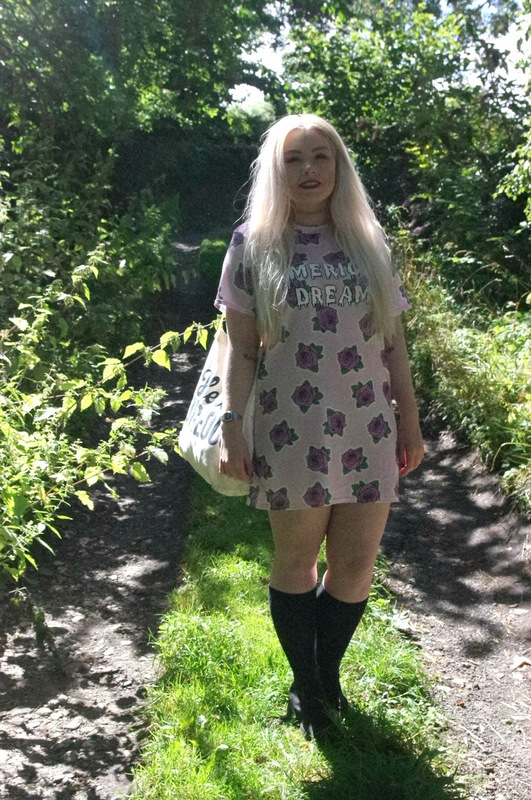 This t-shirt dress is from Missguided, like the majority of my clothes are since I won their Black Friday "year's supply of clothes" competition. 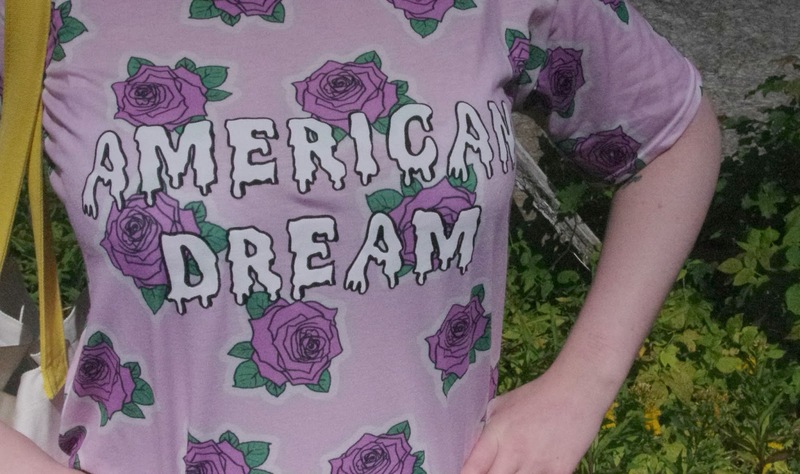 It's oversized, soft, comfy and pink - all of which I love. But it's grungey at the same time, and you can dress it up or down. Amazing. I've paired it with knee high socks for a little bit of sass, and my go-to shoes: black heeled Chelsea boots, again from Missguided. I can't explain how damn comfy these are - I have them in grey too because they're a dream to wear and go with pretty much everything. Sorry you can't see them too well - they're a bugg to photograph! 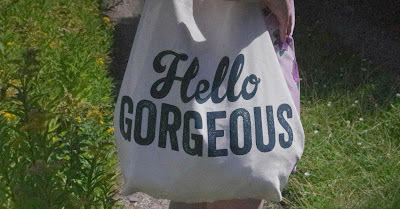 My 'Hello Gorgeous' tote bag* is by Ny-Lon, who you can find at Utility if you're Liverpool based! Their bags retail for around £20 and they're such good quality; I just know this will last me years. My choker is from good ol' Primarni and my watch is a mini Casio. It beeps daily, for no reason. Keep your eyes peeled for some more OOTDs - did you like this one? Let me know if you have any tips and tricks for outfit photos too. Shut the front door, you won a YEAR'S SUPPLY of clothes? If you don't mind me asking, how much clothing is that? Absolutely love how you've styled this with knee high socks.